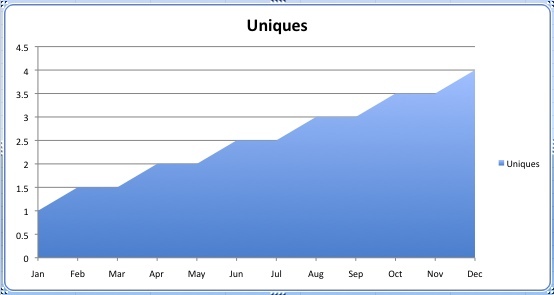 Fred Wilson the venture capitalist shares this picture of step function growth. This is the same exact curve you get with any idea. You will bump into it again and again; user growth, idea propagation, growing your company. Just realise when you’re at that flat area before a curve, this is usually where you need to tip an idea over, get it approved, get the right amount of support. It’s at this point where stress is the highest, presssure amounts and you want to quit. But it’s exactly where you should push through. Then you wake up one morning and suddenly everythings changed. Get used to it. This entry was posted on Sunday, December 12th, 2010 at 8:46 pm.